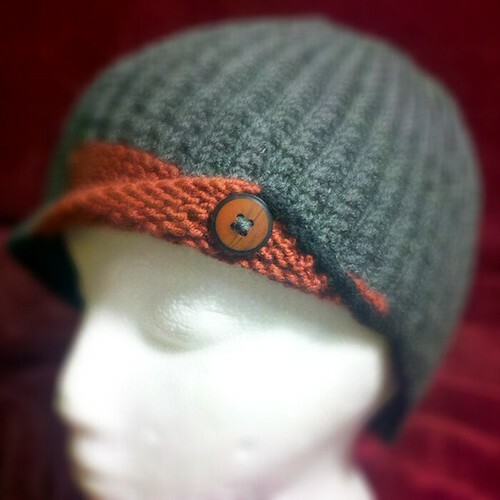 All the rage in the fiber universe is making 12 items in 2012. So, my fun and competitve spirit has decided to jump on board the madness, oh and fun too! I'll be doing 12 pairs of socks, 12 shawls, 12 sweaters, and 12 hats, and possibly throw in any other 12 crafting things I can think of, because it's fun to challenge myself, fun to create, and just darn crazy! Here's my first pair of socks, this is 1 of 12, all done. Love them. 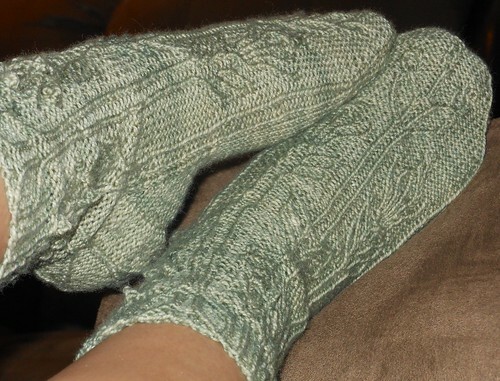 Pattern is from the Through The Loops, Mystery Sock KAL 2012, no name yet, but soon there will be. I've submitted my choices for the name of these socks, will see if I win! These were knit up in 4 Clues, each released during each week of January. Now I'll have to choose my next pair to knit. For my 12 of hats of 2012, 1 of 12 is Piece Out. 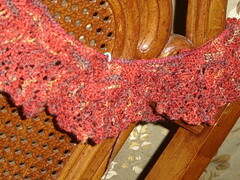 For the 12 shawls, this is 1 of 12, still in progress, it is a Mystery KAL, I'm awaiting the next Clue 5. 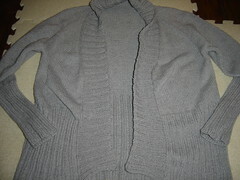 For the 12 sweaters, this is 1 of 12, still in progress, almost done! 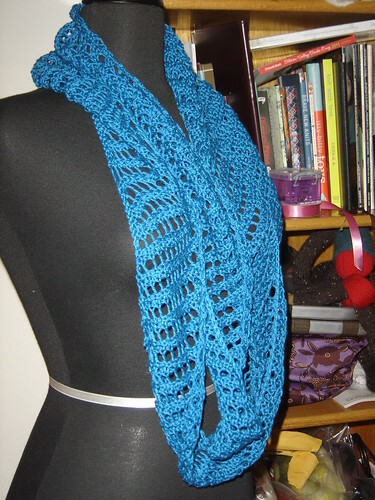 And I'm thinking about 12 Crochet projects possibly, if I do, than this would be 1 of 12. I'm working on my building my crochet skills. 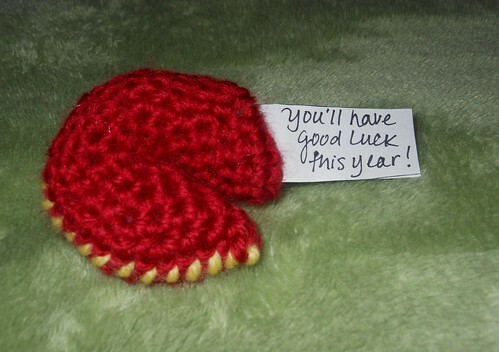 tagged 12crochetof2012, 12hatsof2012, 12shawlsof2012, 12socksof2012, 12sweatersof2012, FOs in 2012, FO's! My mini-Christmas vacay was nice, and always too short. I made lots of tamales, and did a good amount of baking. 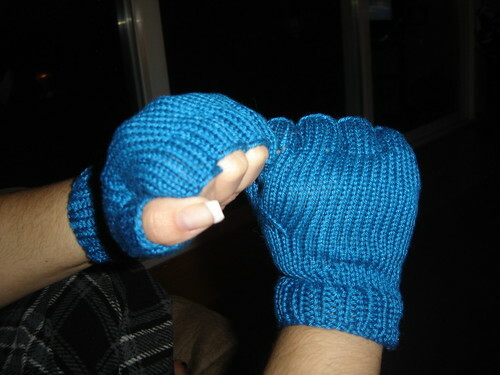 I also squeezed in some knitting, primarily for Christmas. There were still a few things I couldn't get done or even start, but there's never enough hours in the day for us knitters, is there? 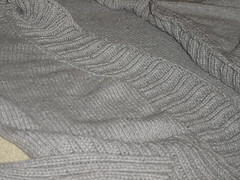 I wish I could just spend my days knitting all the beautiful patterns out there and then enjoy wafting though the many FOs...heaven 8) But reality always hits and I find myself always squeezing in some knitting, even if only a few rows, or even a few stitches. 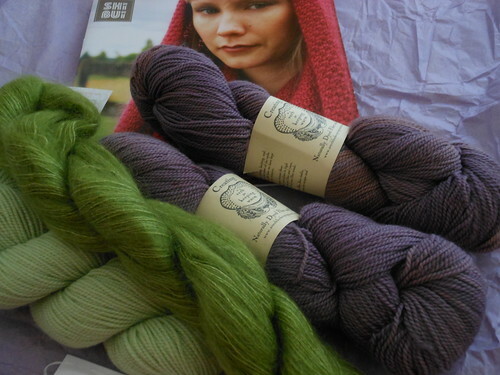 I'm at the tail end of a few projects, and have a few news ones I need to get started, alas my New Year's knitting. First on the needles will be a pair of socks, for the Through the Loops Mystery Kal 2012! and then at least 3-4 more projects I'll be rotating. 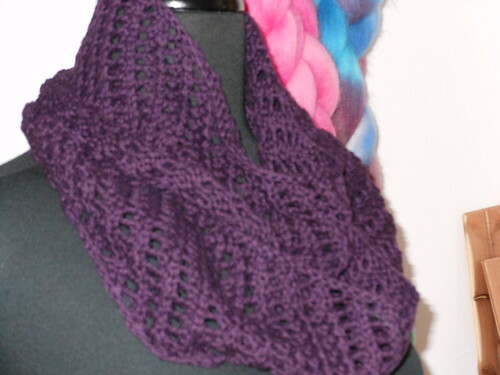 The Mixt Cowl, on the top, wrapped twice, on the bottom, wrapped four times. Knit with Cascade Ultra Pima, 1 skein. 1 pair of Knucks = 1 skein of Cascade Ultra Pima. 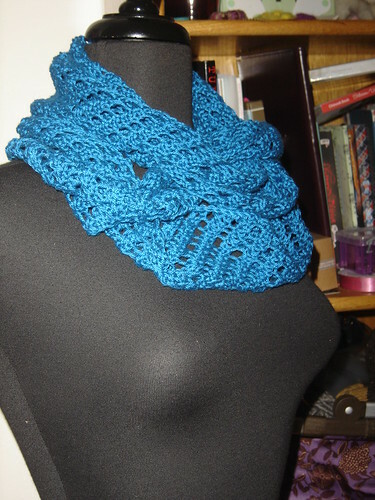 Mixt Cowl knit with 1 skein of Cotton Supreme. 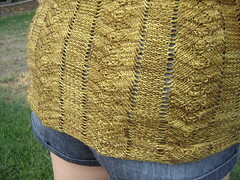 After quite some time, I finallly finished the Karma Tank, from the Custom Knits book, I had started back in 2009. Like many other WIPs that I get myself into, I had this one done, all that was left was the finishing, but I just put it away safely and let it hibernate for a couple of years. 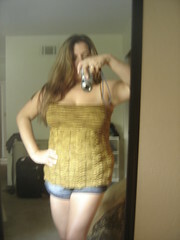 I wore this yesterday, perfect weather for it too. Yarn: Sundara Sock yarn "Brown Sugar Over Buttermilk"
Mods: I made this a little longer and made the straps shorter. 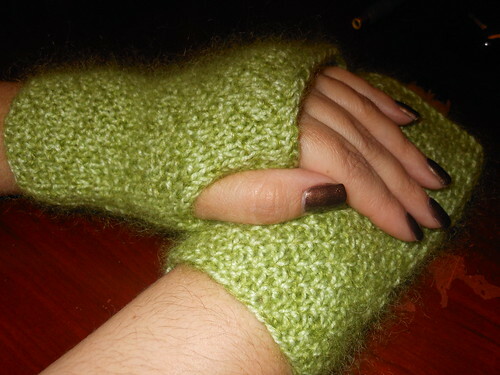 For increases, did on the 2nd stitch instead of the 1st stitch. Before I leave, cause my Sunday is a wee bit busy, I also finished my contribution for the 1st scarf in rotation for the Traveling Scarves #201 Speedy group on Ravlery. 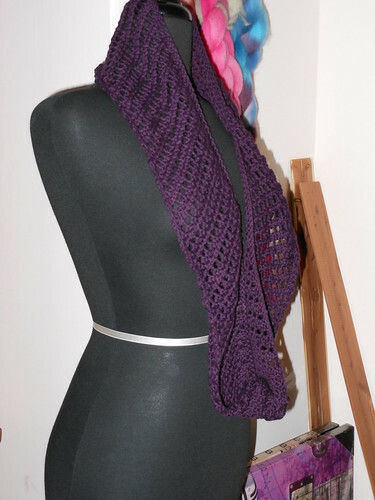 This is Karalmurner's scarf, I used Malabrigos Rios Worsted, one a lone stripe of grey yarn. 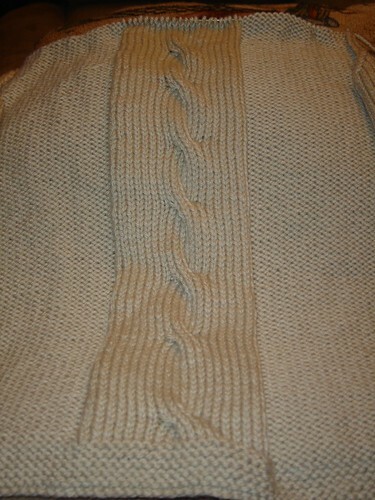 I don't think I'll knit a belt as the pattern calls for. I still may add some afterthought pockets, and even maybe even some buttons, but for now it's done. At least to a point. 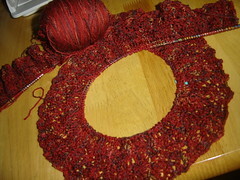 On the needles, Rock Island Shawl, using Kaaland Classic Two lace in Bushfire colorway. That's 71 repeats of a 8 row chart, felt like it was never going to end! 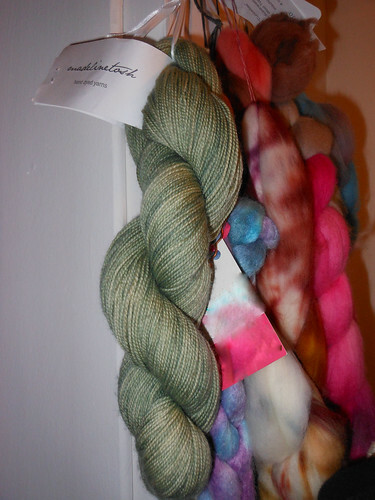 Oh and the yarn is luscious, even better it was a gift from Marisol as part of the Knitter's Treasure swap. So glad I've finally got to use it. 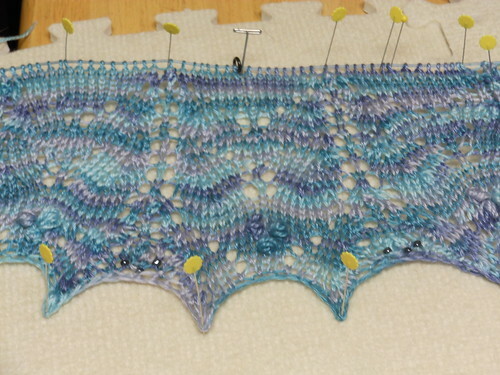 Another one soon to be on the needles, Cerasifera shawl, as part of the Through The Loops Summer Shawl Kal. 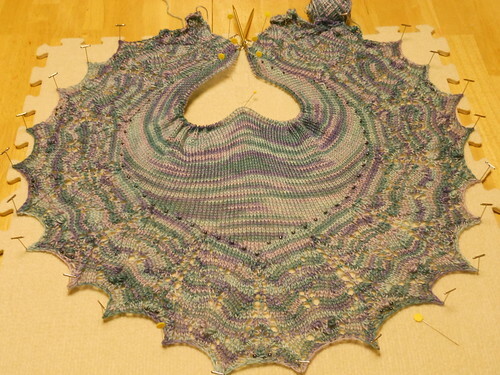 Anyone can join the kal, only required to knit a shawl from the Through The Loops patterns by Kirsten. Turn in FO pics by 9/23/11 to show completion and then prizes are given for various efforts 8). Join on Ravelry in the TTL group. Got plans for this coming weekend, looking forward to it, 3 day weekend 8) Enjoy!